After I gobbled down my breakfast so fast that I almost choked, I hopped into the back of the car for the drive to the zoo. As we pulled into the parking lot and headed toward the entrance, my heart quickened with anticipation. Even though it was only 9:20am, there was already a line forming outside of the polar bear exhibit. Doc knows how to assertively maneuver through a crowd, so we a got a space right up front by the glass. Suddenly, one of the zoo personnel announced that Nora was in the middle of the viewing area, and as we looked down, there she was, smiling up at me. I was immediately smitten. I was happy to see Nora having a great time playing with her ball, swimming and going fishing. She has come a long way since her mother Aurora stopped caring for her about a week after her birth. The zoo staff took over for Aurora and hand-reared Nora. You can tell she has been raised by humans because she sure is a ham around all the people that come to visit her and came right up to the glass to look at us. 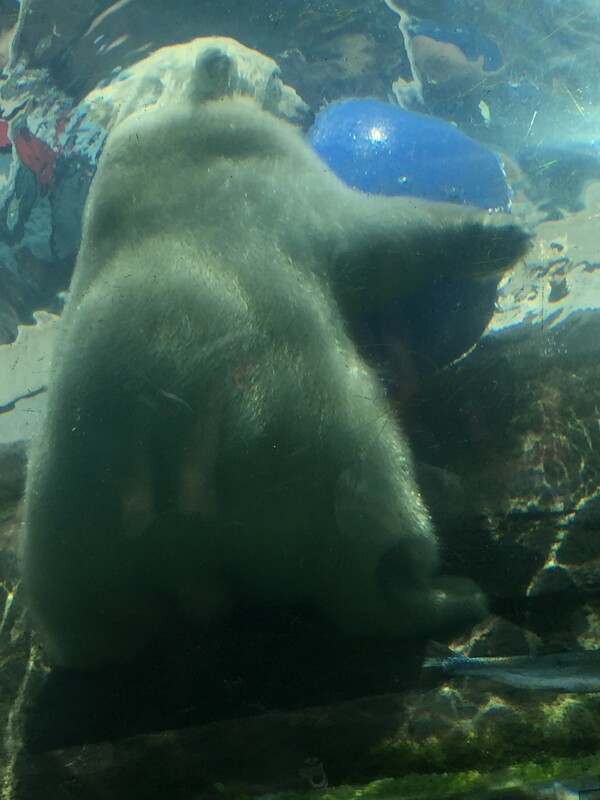 The best things about Nora’s birth is that the Columbus Zoo has now been designated as an Artic Ambassador Center by Polar Bears International. Baby Nora will help the public understand that the existence of polar bears are under threat due to the changing environment where they live. An important job for a baby. After watching her for awhile, I wanted to go in the water and swim with her, but Doc told me she needs to learn to socialize with the other polar bears, not with dogs. She did agree that we need to come and check on her more often, so until next time, I will just have to hold this special day with Nora in my heart. What does a dog do on his day off? He can’t lie around – that’s his job. So that Grover can relax on his birthday, I have given him the day off and he has given me permission to write his blog. 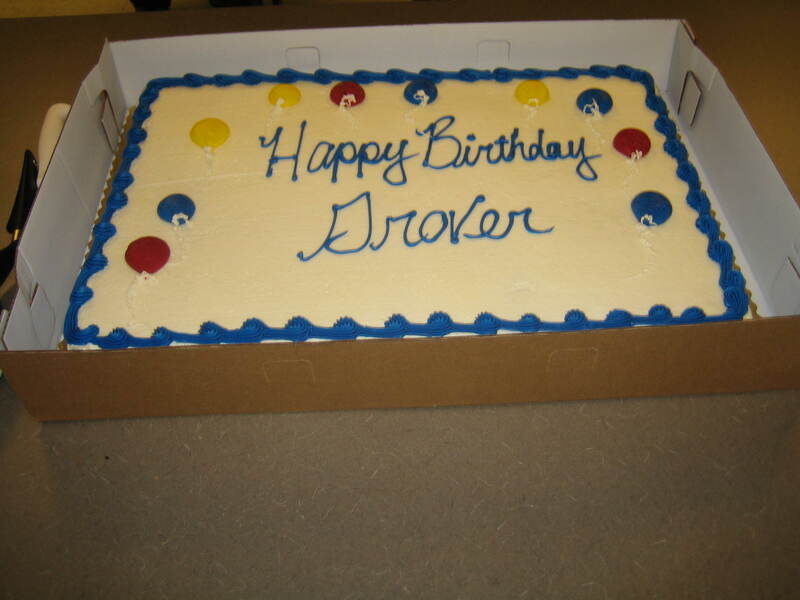 It’s hard to believe that Grover is now four years old. Even though that is still young in dog years, his aging can make me feel sad at times. I miss that short period of time when he was a young. It went by too fast. He has grown into such a sweet, wonderful therapy dog that spends his days giving unconditional love and acceptance to others. I could not be more proud of him. Not only does he work four days per week at CompDrug, he continues to go to the Zangmeister Cancer Center to visit people getting their cancer treatments every month. He also spends some time with the nurses and patient’s families because he knows they need comfort too. 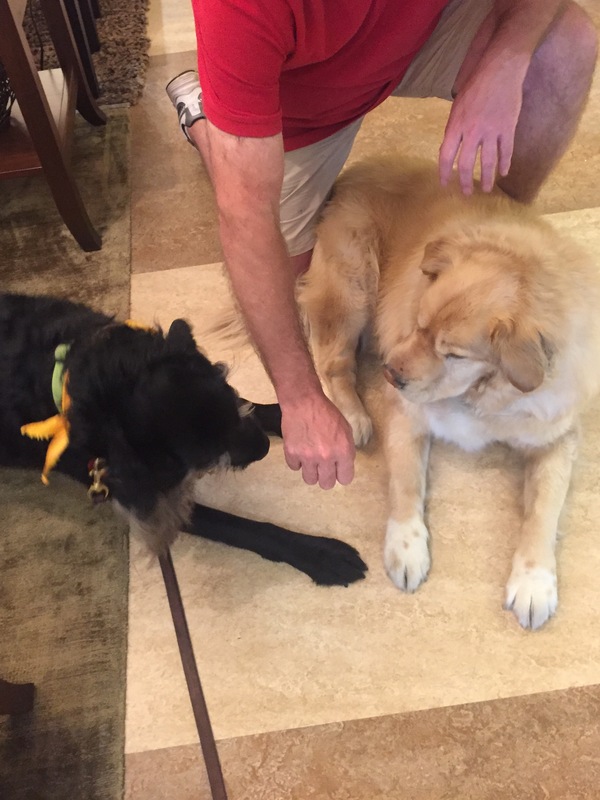 The other day when we were making our rounds, he met a man who was at the cancer center for his first radiation treatment. Right away, Grover sensed that the man was nervous by watching his body language. And what did Grover do? He went right over to that man and leaned into him, so he could comfort him. The man and his wife were so appreciative and spent some time talking to me about how he became a therapy dog. It helped to take their mind off the cancer for just a little while and you could see that the man became calmer with Grover by his side. On Friday’s, Grover attends a group I lead called Stress Management. You can tell that this is Grover’s favorite place to be, as he gets to interact in a large room with about 12 or more patients that pet and play with him. Sometimes he will steal someone’s shoe to get more attention. It makes the patient’s laugh and it gets their mind’s off of their problems for a while. Like one of the patient’s said, ” Grover isn’t always the most perfect acting therapy dog, but he is perfect for CompDrug.” It continues to amaze me how the presence of a sweet animal can change the energy of a whole room. There are times in my life, that Grover comforts me as well. After a recent loss in my own family, Grover stayed by my side through it all. His presence brought comfort and helped me to stay strong through a difficult journey. His loyalty and never-ending enthusiasm are a life model we would all do well to follow. As a reward for Grover being a therapy dog extraordinaire, his birthday surprise will consist of all his favorite things like swimming, playing with his favorite dogs and a big birthday cake. So, Happy Birthday dear Grover and thanks for enriching out lives. 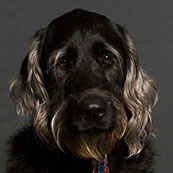 Recently I read a very long article about how busy the White House dogs are. 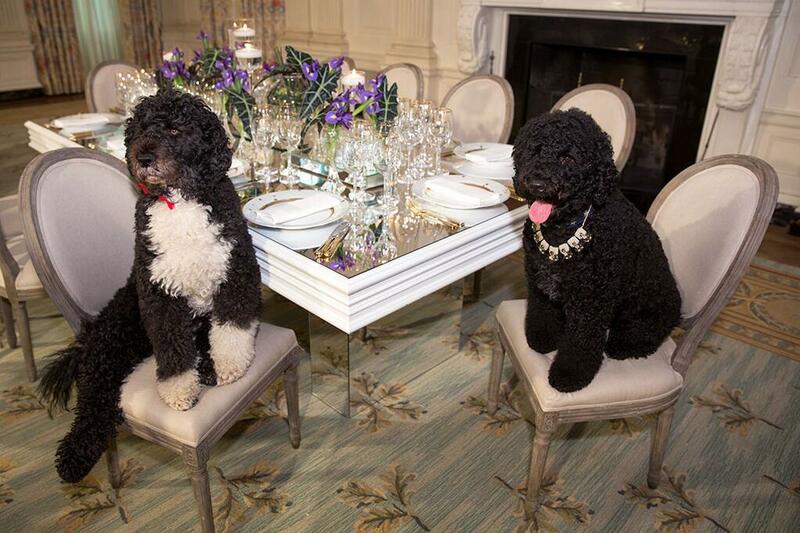 Apparently Bo and Sunny, the Obama family dogs are so scheduled that they barely have time to eat and sleep. Boo hoo. Those pampered pooches don’t have a clue. The article said they have their own personal assistant that sends a memo to Mrs. Obama to approve their appearances. They probably ride around in the presidential limo with the secret service in tow, drinking Perrier water and eating steak for dinner. Do I sound jealous? Well maybe, just a little. But I think I am going to e-mail Mrs. Obama to see if Bo and Sunny could come stay with Doc and I for a while. I think it would be good for them to see how the other half lives and they would probably leave feeling more appreciative of what they have. Wait until they find out that Doc wakes us up at 5am to get ready for work. Then it’s time to hop in the back of the car, (not a limo) for the ride down the freeway. After a full day at the office, cheering up patient’s and staff, then back home we go where there are no fancy lawns, rose gardens or personal assistants to meet our every need. Bo and Sunny will probably be shocked to find that play time consists of chasing an old smelly tennis ball Doc found on one of our walks. At supper time there are no fancy steak dinners, only dry dog food and generic Milk Bones for snacks. Then it’s off to bed where we sleep on a dog bed on the floor not in the Lincoln bedroom where they probably sleep at home. I think Bo and Sunny would be calling their personal assistant howling to come get them after one day with us. Or maybe not. They might be tired of the limelight and would just like a regular life in the burbs. After all I did hear that in January they arrested a man when they found out he was traveling to Washington to kidnap one of them. How scary, at least I never have to worry about being dog napped. Well, I better go check my e-mail and see if Mrs. Obama has gotten back with me about Bo and Sunny’s visit, after all I need time to prepare. It’s not every day that the president’s dogs come for a sleepover. It’s not every day that I run across another dog that is a working stiff like myself. So it was a nice surprise when Doc took me to a nice furniture store on our way home from work to meet Stewie the top sales representative. As we entered the building, there was Stewie lounging in the front of the store, ready to help customers as soon as they entered. Luckily it was time for Stewie’s snack break, so we took some time to meet, get to know each other and share some yummy treats a nice lady name Mary brought to us. I was amazed how much we had in common being that we work in different kinds of places. It turns out that both of us work in the “people business.” I work with Doc to comfort people and Stewie entertains the customers that come in to shop for furniture. Stewie seemed so nice at first, so I was a bit surprised that as we spent more time together, that I started to detect a bit of an attitude, but I could be wrong. The “attitude” started when I told him what end of town I work in and where I live. Stewie went on and on about how nice it was to work in a fancy store, how much he gets paid, and that he lives in a very posh part of town with his human. I listened and remained polite, but it started getting my dander up. On the way home from the store I told Doc how I was feeling and that I had let Stewie get to me and make me feel bad about my life. ” Oh Grover, she said, maybe Stewie’s just talking smack or you misunderstood him.” She told me that the next time I see Stewie, if he starts saying things like that again, tell him that it hurts your feelings. If he keeps on talking that way, or telling you that you are too sensitive, it’s time to excuse yourself and walk away. “Life’s too short to let dogs or people make you feel bad about yourself” she said. I agree, I have better ways to spend my time, like napping next to Doc, the human that loves me just the way I am.